Ariadne Villegas graduated from Johns Hopkins University where she double majored in Public Health Studies and Global Environmental Change. There she served as publicity chair for the Hopkins Latino student union. 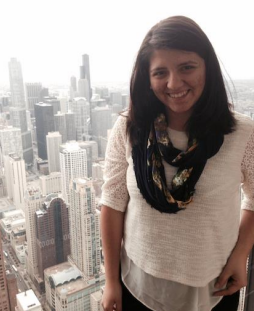 Her academic interests include food systems and health disparities among Latino populations. She is now pursuing a Masters degree in the Environmental Health and Engineering Department at the Johns Hopkins Bloomberg School of Public Health.